A few days ago, a friend from shul told me that he feels like giving up. “We can’t just give up,” I said. But his despair left a profound impression on me. Is it true that the radical left have already won? Does the rise of a Marxist community agitator to POTUS mean the end of the American Republic? 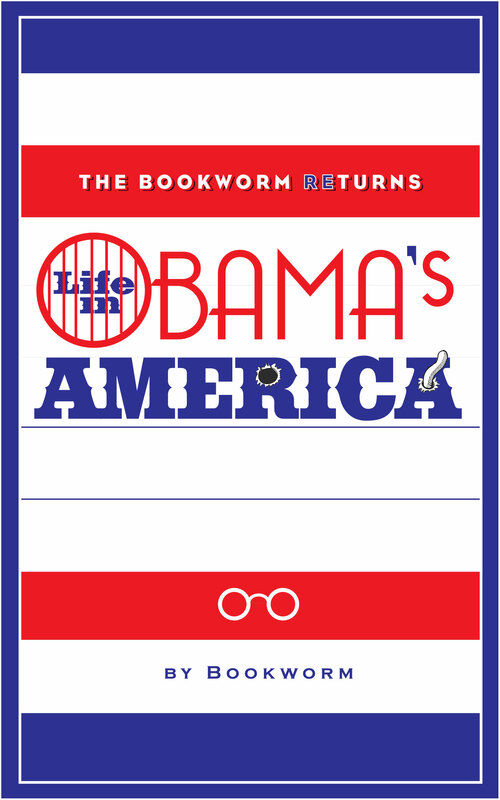 And then I sat down and read The Bookworm Returns: Life in Obama’s America, an eBook which should be mandatory reading for every American. Her opening essay on guns, written as a letter to a teacher (but wisely never sent) is a classic discourse on the Second Amendment, and how best to protect our children. Because Bookworm is a brainy lawyer who has not sacrificed her common sense, she writes astonishingly clear sentences that manage to cut to the heart of, well, everything. Her chapters on what the Democrats have done to our health care system is, quite simply, revelatory. I’m a little at a loss as to how to review “How I Married Karen,” because I’m afraid that giving it the extremely high praise it deserves will sound fatuous. Surely a book can’t be this good? Well, yes it can. Within 164 light, bubbly, moving, funny pages, Robert J. Avrech packs in so much: the abiding wonder of finding one’s true love; the academic woes of a square peg in school’s relentlessly round holes; life as an Orthodox Jew in New York in the 1960s and 1970s; the way in which movies provide so much of a backdrop to and reference point for our lives; adolescent angst; morality; and patriotism. That Mr. Avrech manages so gracefully to crowd so many ideas into one small book is a testament to both his skill as a writer and to his transcendent love for his wife, Karen Avrech. After I gobbled up the book, I felt lighter and happier for the rest of the day. If you are interested in brightening your holiday by learning where to buy How I Married Karen, or if you’d just like to read all the other rave reviews Robert’s e-book garnered, go here. The book isn’t yet available on Amazon, but I’ll let you know when it is. Robert Avrech nails the stupidity that is gun control. (And yes, I was once that stupid, but I’ve recovered.) It’s pretty much a perfect post: short, riveting, persuasive.